Asean and its human rights body were urged to intervene in the disappearance of Lao social activist Sombath Somphone amid the failure of the authorities in Vientiane to trace his whereabouts. The Lao government’s long silence about Sombath’s whereabouts are increasing our concerns for his safety,” said Brad Adams, Asia director at Human Rights Watch. There is strong evidence of the role of Laotian authorities into the disappearance of Sombath, a prominent 60-year-old social activist who received the Ramon Magsaysay Award for Community Leadership in 2005, more than two months ago, Human Rights Watch said. He was last seen by his wife, Ng Shui Meng, on December 15 as they were driving separately back from his office to their home for dinner. Shiu Meng lost sight of Sombath’s jeep at around 6pm near the police post on Thadeua Road in Vientiane, and he never arrived home. Security camera footage from the Municipality Police Station, obtained by Shui Meng, shows that Sombath’s jeep was stopped by police at the Thadeua police post at 6:03pm. Sombath was then taken into the police post. Later, a motorcyclist stopped at the police post and drove off with Sombath’s jeep, leaving his own motorcycle by the roadside. Another truck with flashing lights then came and stopped at the police post. Two people got out of the truck took Sombath into the vehicle, and then drove off. “It’s been incredibly frustrating to not have more visibility into the progress of the investigation,” Daniel Baer, deputy assistant secretary for the State Department’s Bureau of Democracy, Human Rights, and Labour, told AFP by telephone from Vientiane after talks with the Lao vice foreign minister. “I was assured that they are investigating – that’s what the vice minister told me – but I made sure that he understood that not having more information is not helpful,” Baer said, expressing disappointment that he was unable to meet any officials from the ministry of public security. The secretive one-party communist state – which exerts total control over the media and does not tolerate criticism – has in recent years gradually given local civil society groups more room to operate. (Bangkok, February 19, 2013) – Lao authorities have failed to provide information on leading social activist Sombath Somphone since his apparent enforced disappearance in December 2012, Human Rights Watch said today. The Association of Southeast Asian Nations (ASEAN) and its human rights commission should intervene in the case with the Lao authorities, who have denied detaining Sombath, and who have not reported his fate or location, Human Rights Watch said. 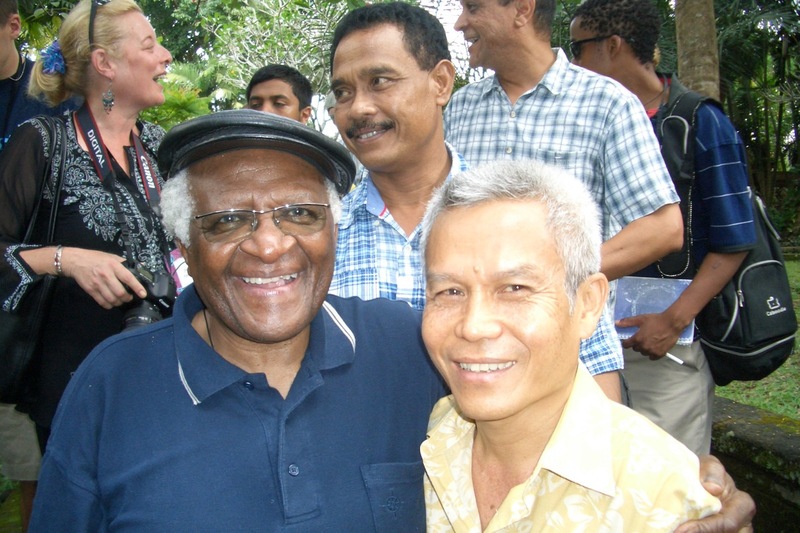 There is strong evidence that Sombath, a prominent 60-year-old social activist who received the Ramon Magsaysay Award for Community Leadership in 2005, was forcibly disappeared by Laotian authorities in Vientiane, the capital, more than two months ago, Human Rights Watch said. He was last seen by his wife, Ng Shui Meng, on December 15 as they were driving separately back from his office to their home for dinner. Shiu Meng lost sight of Sombath’s jeep at around 6 p.m. near the police post on Thadeua Road (KM 3) in Vientiane, and he never arrived home. Security camera footage from the Municipality Police Station, obtained by Shui Meng, shows that Sombath’s jeep was stopped by police at the Thadeua police post at 6:03 p.m. Sombath was then taken into the police post. Later, a motorcyclist stopped at the police post and drove off with Sombath’s jeep, leaving his own motorcycle by the roadside. Another truck with flashing lights then came and stopped at the police post. Two people got out of the truck, took Sombath into the vehicle, and then drove off. On December 19, the Lao Ministry of Foreign Affairs issued a statement confirming the incidents as recorded on the security camera, but claimed he was kidnapped for personal or business reasons. Lao authorities have told Sombath’s family, foreign diplomats, United Nations agencies, and civil society groups across Asia that they have been investigating the case. But to date, they have provided no information on Sombath’s whereabouts, his fate, or who was responsible for his enforced disappearance, Human Rights Watch said. Enforced disappearances are defined under international law as the arrest or detention of a person by state officials or their agents followed by a refusal to acknowledge the deprivation of liberty, or to reveal the fate or whereabouts of the person. Enforced disappearances violate or threaten to violate a range of fundamental human rights protected under the International Covenant on Civil and Political Rights, to which Laos is a party, including prohibitions against arbitrary arrest and detention, torture and other cruel, inhuman or degrading treatment, and extrajudicial execution. Laos is one of the first countries in Southeast Asia to sign the International Convention for the Protection of All Persons from Enforced Disappearance in September 2008. As a signatory, Laos is obligated under international law to refrain from acts that would defeat the object and purpose of the treaty. The latest letter from Human Rights Watch to the Lao Government can be downloaded here.